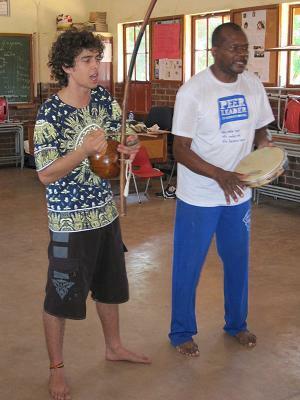 LETSEMA CENTRE hosted Brazilian partners who are also Professors of Capoeira to impart basic skills with interested learners from Mamelodi. 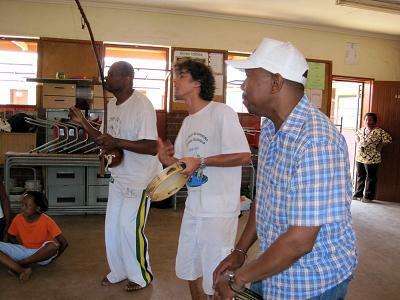 The Capoeira Professors are part of a grassroots network of community-based organization working in voluntary international cooperation involving Germany, Brazil and South Africa. LETSEMA CENTRE hosted Brazilian partners who are also Professors of Capoeira to impart basic skills with interested learners from Mamelodi. 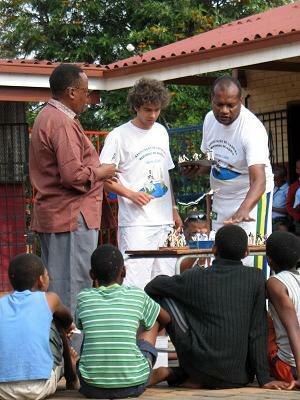 The Capoeira Professors are part of a grassroots network of community-based organization working in voluntary international cooperation involving Germany, Brazil and South Africa. The pictures and comments following hereunder are part of two weeks-long Capoeira training workshops hailed amazing and successful by all involved. Capoeira apparently originates in Africa and became part of Brazilian culture during the painful era of slavery in South America. The African slaves, it is said, found peace and strength in signing and dancing together in the face of brutality visited upon them by the colonial masters. 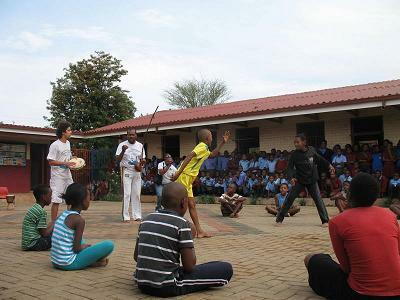 Capoeira in Mamelodi township still relevant to inspire young people and indeed worked magic in re-igniting the mental, physical and spiritual energies of participants, but also could become an effective tool to use dance and music for peace and development. 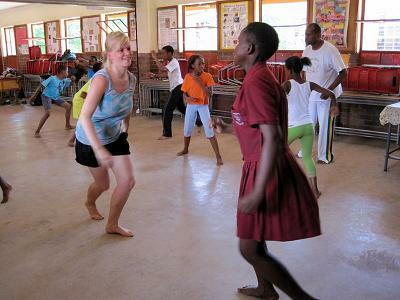 Please and enjoy viewing Capoeira and excursion pictures following herein below. Participants doing basic physical stretching excises preparing for a full session of workshop. In three pictures: Paul is starring and listening to explanations and demonstrations given by Claudio and Gabriela. 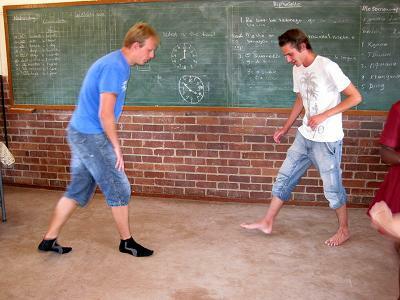 Paul was responsible for coordinating the project and both Gabriela and Claudio presented the theory and practice of Capoeira to learning participants at Boikhantsho Primary School in Mamelodi East. These pictures showcase that everyone was committed to learn and enjoyed a healthy exercise together. After two weeks of hard physical, spiritual, theoretical, and practical encounter, participating learners conducted a public show in full view of the entire school. See below picture. Dressed in white and looking on are the Gabriella and Claudio were excited about their successful venture. The above photos add to the beautiful learning story and demonstrate what truly made everyone joyful and feeling grateful about learning together. 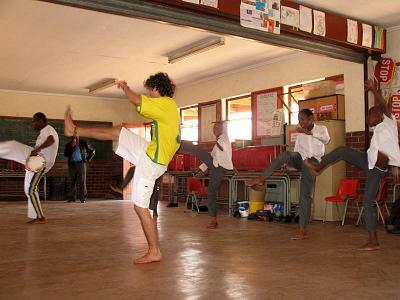 Letsema Centre volunteers also participated happily during the Capoeira training workshop. 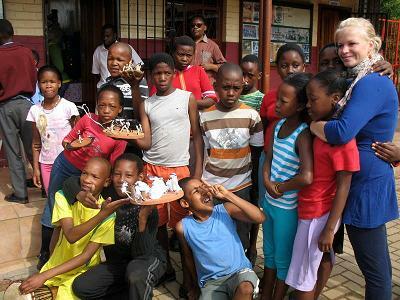 Part of the two weeks learning festivities included short excursions within Gauteng Province. 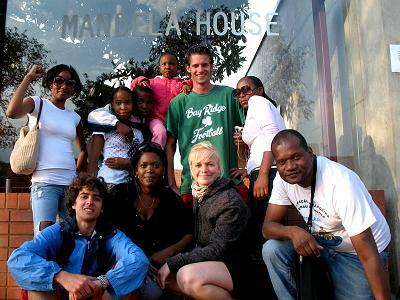 Three of the above photos (top-centre, top-right, and bottom-left) showcase that team leaders took time out to see Mandela House and learned a lot about Soweto. 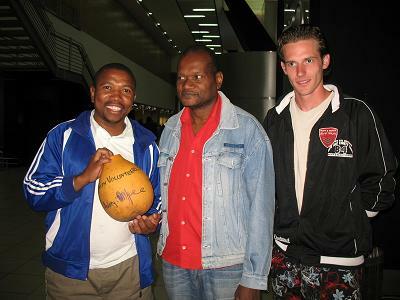 They also visited few other cultural and historical places mainly around Joburg and Tshwane. 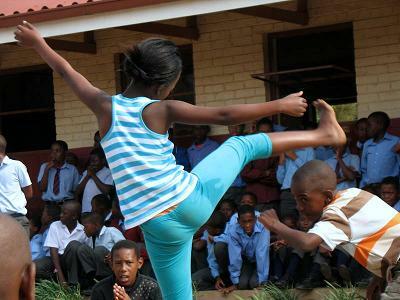 There was indeed much more to learn both in formal Capoeira workshops and abundant informal interactions with learners at Boikhantsho Primary including sight-seeing ventures around the capital city of South Africa, the City of Tshwane, also formerly called Pretoria. 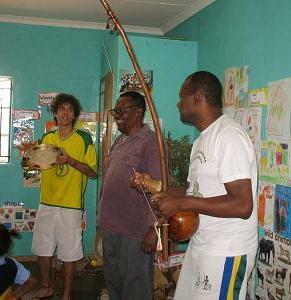 The Brazilian partners were offered on excursions by local Letsema Centre volunteers including Jasper, Nadia, and Sebastian who joined Letsema in August 2009 as part of an international volunteer project implemented in voluntary partnership with a German-based NGO and supported by the German government (BMZ volunteer project). 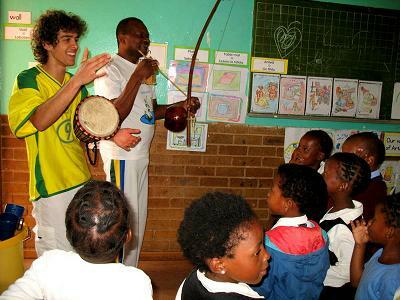 The foregoing pictorials and commentaries represent part of a comprehensive report on Capoeira training workshop series conducted as part of international cooperation and partnership projects intended to benefit formerly disadvantaged learners drawn from Boikhantsho Primary School located in Mamelodi township within the City of Tshwane Metropolitan Municipality, also formerly called Greater Pretoria Municipal Council in South Africa. 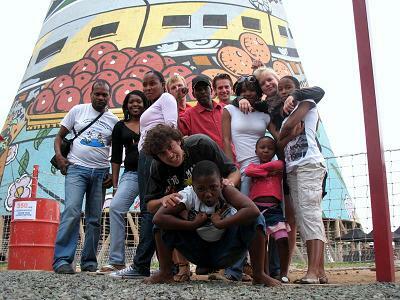 The Capoeira sojourn took place from 17th till 30th September 2009. 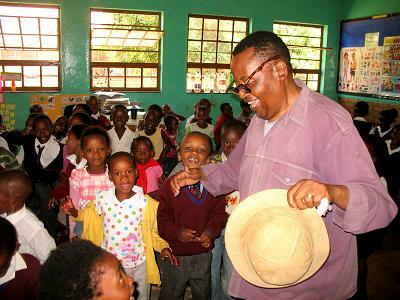 It was coordinated by Letsema Centre as a South African partner with Brazilian and German partner organizations and projects. 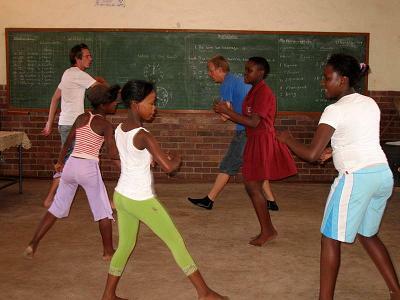 Letsema Centre continues to maintain local partnership with Boikhantsho Primary School through all learners who benefited from the ever-energizing Capoeira dance and songs learning activities. 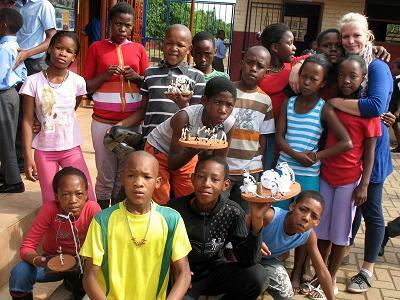 There are project continuity plans to also introduce this different kind of cultural learning to other interested youth in schools and communities across Tshwane Municipality. A list of Capoeira participants from Boikhantsho Primary School is hereto attached. Letsema Centre is grateful for amazing energies demonstrated throughout the training workshops and humbly wish to congratulate all learners who sacrificed their after school time to participate in this international learning adventure , and Letsema Centre remain thankful to its local partner school including its governing body and school management, especially the school principal, Mr. Kobo, for the permission to engage learners in extramural activities thereby bridging the learning gap between schools and communities, also for their valuable contributions, and worthwhile experiences gained through the international cultural exchange and learning project. To learn more about Capoeira please contact us.